Yahoo CEO Marrissa Mayer reported lower sales and profits for the fourth quarter as the company's core business continues to struggle. Yahoo's core business shows no signs of improving after the company once again announced lower earnings and sales Tuesday. Sales of banner and video ads slipped 6% in the fourth quarter and search ad sales fell 4%. Yahoo (YHOO) was once the Web's advertising leader, but over the past several years has fallen behind rivals Google (GOOG) and Facebook (FB). Shares of Yahoo fell 5% in after-hours trading. 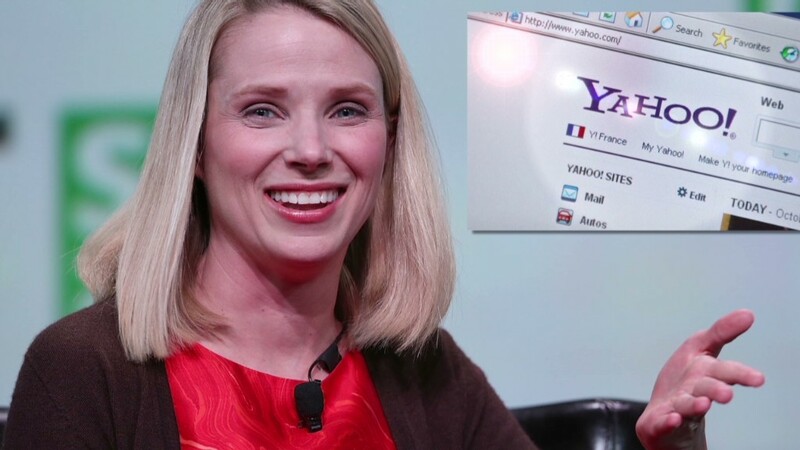 Yahoo CEO Marissa Mayer has often repeated that the company's business would not turn around overnight. She has focused on improving the company's culture, refining its product lineup and growing its traffic through acquisitions and hiring talent. Tech gadget reviewer David Pogue and media personality Katie Couric were recently brought into the fold to help spearhead a push for more content. Yahoo's traffic increased in 2013 but the company has not yet proven able to translate that into increased ad sales. Still, Mayer said she was "encouraged" by Yahoo's quarter and the traffic growth as an "early sign of return on our investments." "We saw continued stability in the business, and our investments allowed us to bring beautiful products to our users and establish a strong foundation for revenue growth," she said in a prepared statement. The company reported $174 million in quarterly profit, down 8% from last year. Excluding one-time charges, Yahoo posted earnings of $330 million, or 46 cents per share. 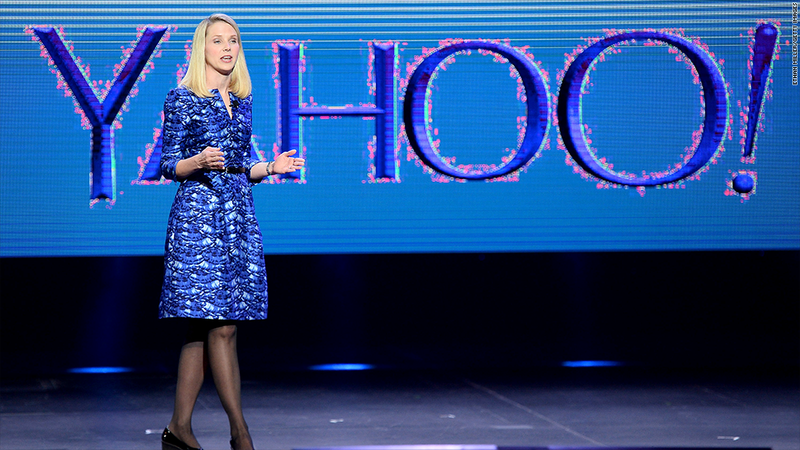 Analysts polled by Thomson Reuters had forecast Yahoo to report earnings of 38 cents per share. Sales also took a hit. The company posted revenue of $1.3 billion in sales for the quarter, down 6% from the year before. Excluding advertising sales that Yahoo shares with partners, sales were $1.2 billion, down 2% and in line with analysts estimates. Earlier this month, Henrique de Castro, Yahoo's chief operating officer, was fired amid declining revenue in its display ad sales and slow growth in revenue tied to search. Yet Yahoo stock has soared in the last year, rising over 80%. Most of that excitement is centered around the 24% stake Yahoo owns in Chinese online retailer Alibaba, which is expected to make an initial public offering of stock relatively soon that could net Yahoo billions. Many are wondering if Yahoo has what it takes to compete in the online ad space with companies like Google and Facebook - which tend to have more detailed information about their users and can more effectively target advertising.